Are you ready? Ready to read the horrible secret about the iPhone X? The secret that Apple doesn’t want you to know? Turns Out™… it’s a big phone! And writing for the very lovely people and twisted homunculi and sausage-fingered headline writers at Business Insider, Dennis Green says enough is enough. THE WORLD MUST KNOW MY TALE. Valid. Although, Touch ID doesn’t work every time either. The cheap, non-vibranium metals they use these days, I tells ya. The original iPhone was pretty scratch-prone, too, and people seemed to like it just fine. …and the price tag is astronomical. Have you heard? It is an expensive phone! It only there were some way of knowing that before you bought the phone! Like, a published price or something. Oh, well. The phone is impossible for me to use with one hand. It’s too big! The rent is too high and the phone is too big! People hate big phones! Why is Apple making all these big phones?! Where did it ever get such a terrible idea?! 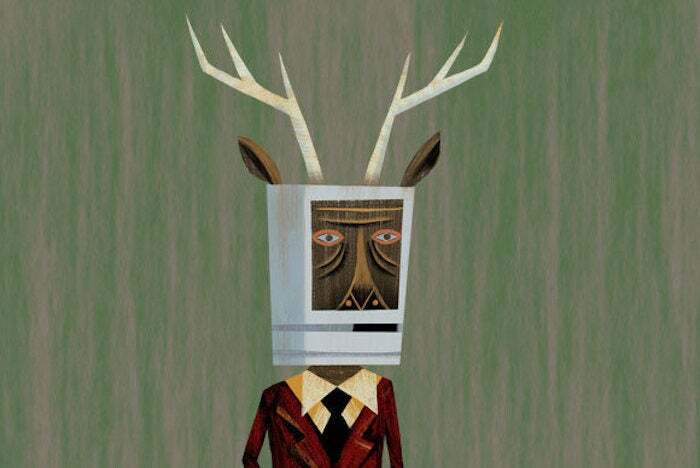 Other than outfits like Business Insider screaming incessantly for three years about how Apple absolutely must make large phones or face extinction, the Macalope means. Though the phone is only a bit bigger than the iPhone 6, iPhone 7, and iPhone 8, the bigger screen how [sic] dramatically changes how you interact with the device. Who knew this larger screen did not come with larger fingers? Your Mister Fantastics, your Plastic Men and Elongated Men, they will have no trouble with this phone. But as for the rest of us? Much trouble. Green isn’t the only one complaining about this and it does seem like Apple should either change the location of Control Center on the iPhone X or create an alternate way of triggering it. Green doesn’t think much of Reachability and the Macalope tends to agree. I’ve noticed myself changing my behavior to use the phone, holding it differently and constantly adjusting my grip by sliding my hand up the back of the device to reach the top of the screen with my thumb. At first, I thought it was just an adjustment period—not unlike the feeling of melancholy one might have just after getting married. That is very weird because these are consumer electronics you purchase yourself and not shackles placed upon us by forces outside of our control. This holiday season, please think of those less fortunate than yourself. Please give generously to People Who Bought A Too-Big Phone. Touch ID is not flawless. It may work better for some people, but many iPhone X owners vastly prefer Face ID. I realized, with an air of sadness, that I needed to get rid of the iPhone X.
I looked out the window onto a cold afternoon in late fall, thinking of times gone by. A single leaf fell, the last leaf. It began to snow. I’ve never had an Apple product that refused to bend to my will with such stubbornness. Oh, my god, just get another phone, dude. I have no doubt the phone would work perfectly for someone with larger hands. If we’ve learned one thing by reading this article it is that this phone, the iPhone X, is too big for him. That is the major takeaway here. Other people? We know not. However, for Dennis Green, the phone is too large. Unwieldily so. Put another way, the dimensions of this phone are too great. Simply excessive. Grotesque almost. It is a surfeit of phone. Hey, the Macalope gets it. He uses an iPhone SE. He never wanted these big phones in the first place. But you don’t see him going out and buying a big, expensive phone and then complaining about how big and expensive it is.